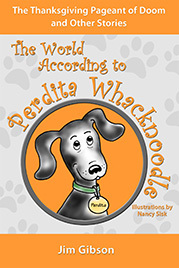 Would you like a quick introduction to Perdita Whacknoodle’s World? This is the place! She has three videos to give you a glimpse into her books. First, here’s a very quick look at some of the main characters you’ll meet over and over. There are LOTS of characters, but these are the main ones! 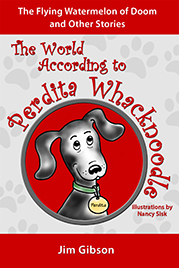 There more more stories, but this short introduction will make you wonder about Perdita. Is she crazy? Or really smart? 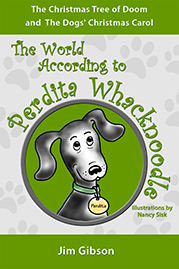 And here’s a quick tour through her second book, The World According to Perdita Whacknoodle: The Flying Watermelon of Doom. These short movies will give you a hint of the wild and (maybe0 wacky) world of Perdita’s family–her cousins, aunts, grand-parents, great-grandparents, brothers, sisters, and . . . of course her dear mother, Mar and her outlaw father, Par. You’ll meet Farmer, who is almost driven crazy by Perdita’s huge family . . . and the school principal, the chubby and pompous Mr. Wimpy who becomes Par’s greatest enemy. We’re sure you’ve never met a dog like Perdita, and we KNOW that when you’ve read her books you’ll be repeating her made-up words, noticing Whacks and Noodles in your own neighborhood, doing your own Perditafication of the English language, and laughing at her “brilliant” dog relatives . . . who don’t usually end up very well. Maybe it’s because she’s a genius. 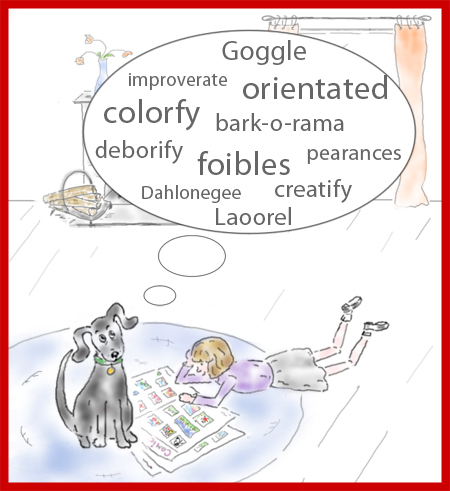 Her books will be available soon for the Amazon Kindle and all Kindle apps.